Home / Geek Life / Texas Comicon was Awesome! 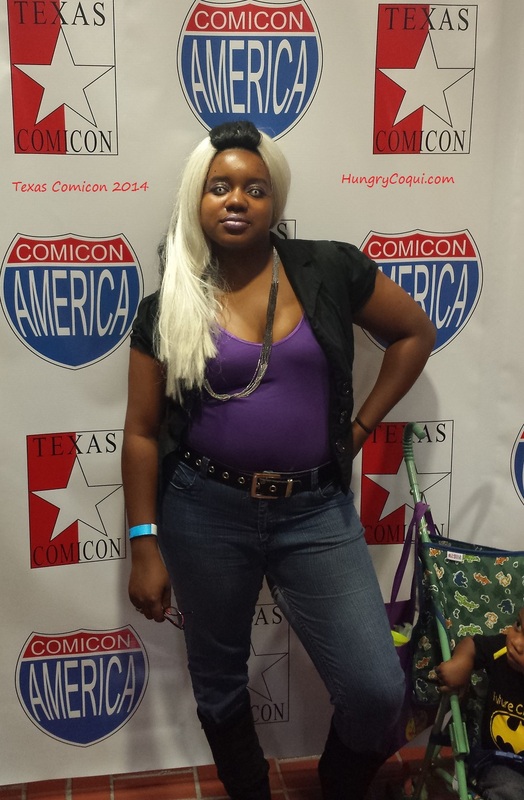 Texas Comicon was a few weeks ago, and I was only able to go on Saturday. I made it worth it, though! I haven’t been to Texas Comicon in 2 years, because the last time I went (2012) it was a total bust. This year they announced that Jake “the Snake” Roberts would be there, so we decided to go. Of course, now that we live right around the corner from the old venue, they moved to a new venue :/. Sindel is in desperate need of repair, which I only just discovered 2 days before the con. I may have to rebuild her from scratch, so I went with a “Sindel’s day off” look. I was still recognized, so I’m content with that. It was pretty crowded at the convention, so it was actually nice to be dressed comfortably. The con had an interesting setup. It was taking place in a mall, so many of the vendors were located in open access areas. They saved the best vendors, celebrities, and exclusives for paid only areas, though. The feature was Optimus Prime and Transformers, but the VIP line for that was insanely long, so I passed that up. Instead, I met Jake “the snake” Roberts! He signed my Pick Your Poison DVD and a glossy photo and I got to touch his WWE Hall of Fame ring! How cool is that?! I got a lot of cosplay inspiration from the costume contest, and I wish I could’ve watched it from a spot that would allow for better pictures, but I’ll still share them with you all. My favorites were definitely Akasha (Queen of the Damned), Dart (Legend of Dragoon), and Black Waltz #2 (FFIX). Honorable mention goes to Rule 63 Bumblebee, because she went so far as to include cupholders, lol. My mom would be all over this apron! Jake “the Snake” Roberts is still a huge man! Our copy of Pick Your Poison is now Signed! Black Waltz #2- the embroidery was so elaborate! He said he was Gladiator Hulk. I thought he was Ogre from Tekken… either way it was a great costume! Rule 63 Bumblebee- loved it! it’s not a con until the Star Wars fans show up! Life-sized Gunblades and Keyblades! I need these in my life!!! They even had Link’s gear and GoT!!! Hubby picked up this Wolverine print for his dad.